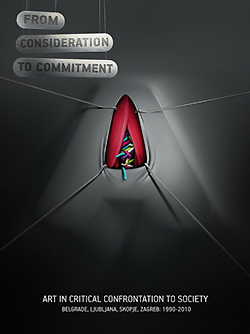 Round table – Critical Art and Responsible Culture: Without Anaesthesia! SEEcult.org is organizing the round table “Critical art and responsible culture: Without Anaesthesia!” which will be held on December 7 2009 at the Goethe-Institut Belgrade. The participants are artists and curators from Belgrade, Ljubljana, Skopje and Zagreb, and discussion will be moderated by Maja Ćirić, a Belgrade based independent curator and art critic. The panelists are artist Vladan Jeremić (Belgrade), cultural worker and curator Nataša Bodrožić (Zagreb), and artists Milena Kosec (Ljubljana) and Igor Toševski (Skopje). The aim of the discussion is questioning critical art as unforeseen impulse of dominant cultural-political paradigm and emphasizing anti-politics as an alternative to anticipated politics – direct and impotence politicization. Discussion emphasizes anti-politics which would stimulate effective responsible culture, questioning positions, praxis and models of critical art through four examples from the region – what are the impulses and intensity of critical art and responsible culture – representation or intervention? Status quo or step forward? Confrontation or manipulation? State cultural engineering or partial, but focused individual praxis? The round table is organized by Belgrade based portal for culture SEEcult.org in cooperation with the partners from the region – Kulturpunkt.hr (Croatia), SCCA Ljubljana/Artservis (Slovenia), and ForumSkopje (Macedonia). The round table is organized in the frame of the regional project Let’s Talk Critic Arts (LTCA) initiated by SEEcult.org in cooperation with partners from the region. 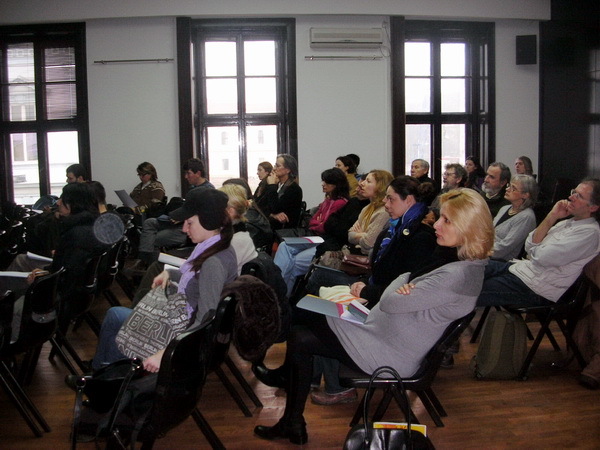 The LTCA project is supported by ECF – European Cultural Foundation, and the round table is organized with support of the Goethe-Institut Belgrade/Stability Pact for South Eastern Europe. E-book ‘Art in Critical Confrontation to Society’ launched!